When you live in London, frizzy hair is hard to avoid. It’s either raining, it’s windy, or you’re sweating on the tube. None of these help your hair look good! 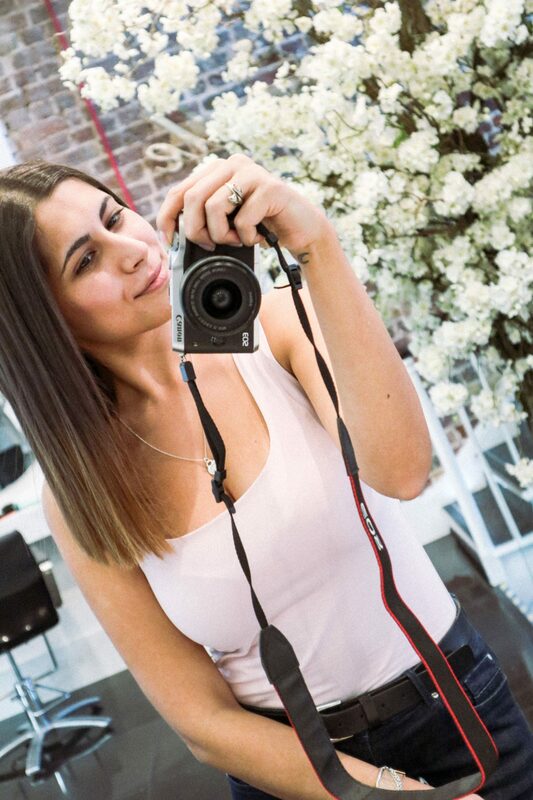 So, when I went to the launch event for a new professional hair straightening treatment, which promises no frizz and a smooth look for about three months, I was intrigued. 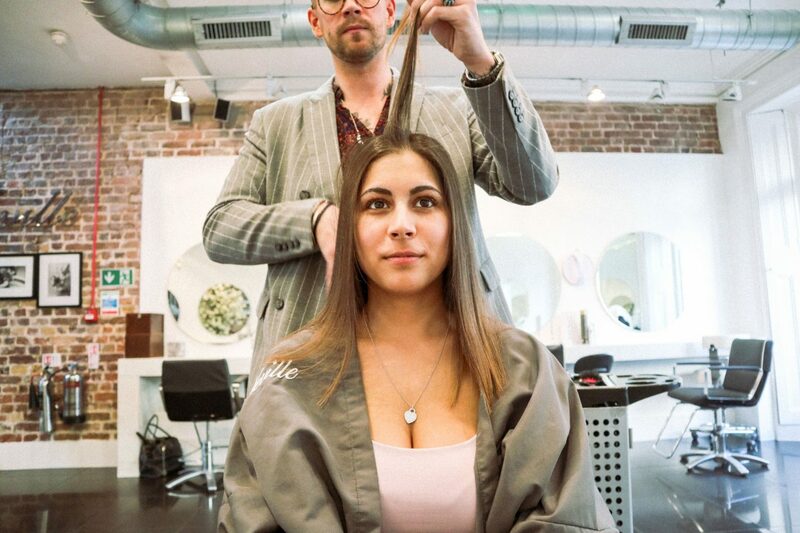 Braliz works to smooth and relax the hair fibres, creating a temporary sleek look, and what I was impressed by is the fact that it does it without the harmful formaldehyde, which can be found in other professional straightening products. Braliz contains natural ingredients such as Brazilian Botanical Bioactives (BBB), and Guarana, Cashew, and Brazil nut oils which have antioxidant properties to help realign the hair fibres; repairing and smoothing out the hair cuticles. It is also vegan. After I cut my hair, I’ve been wanting to use less heat, but I also hate frizzy hair, so the idea of the treatment sounded great to me. 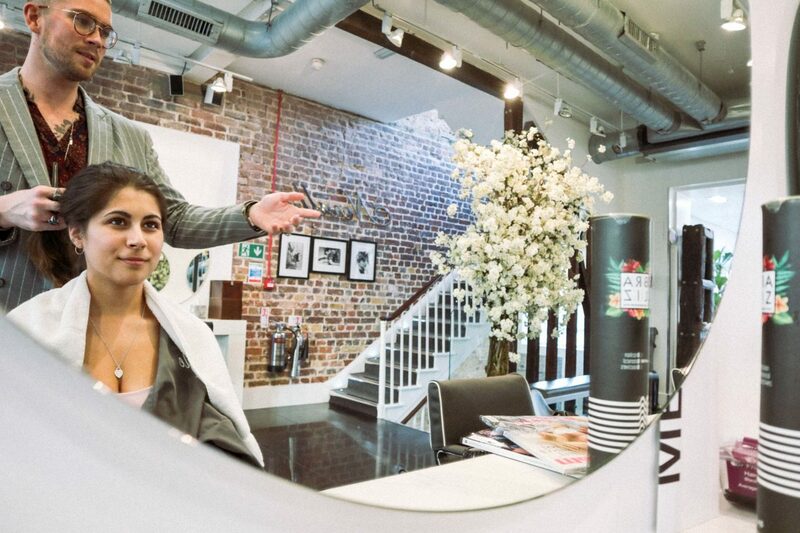 And so I went on to get the treatment done at Neville Hair & Beauty Salon in Knightsbridge. It is only available there at the moment, but it will soon be launched in more salons across the country. My hair isn’t curly or unmanageable, but living in London makes having it look like I want it to a tough job. With humidity, rain and wind, it’s sometimes hard to achieve a sleek look. Especially now that the crazy weather of March is upon us, my treatment was perfectly timed. 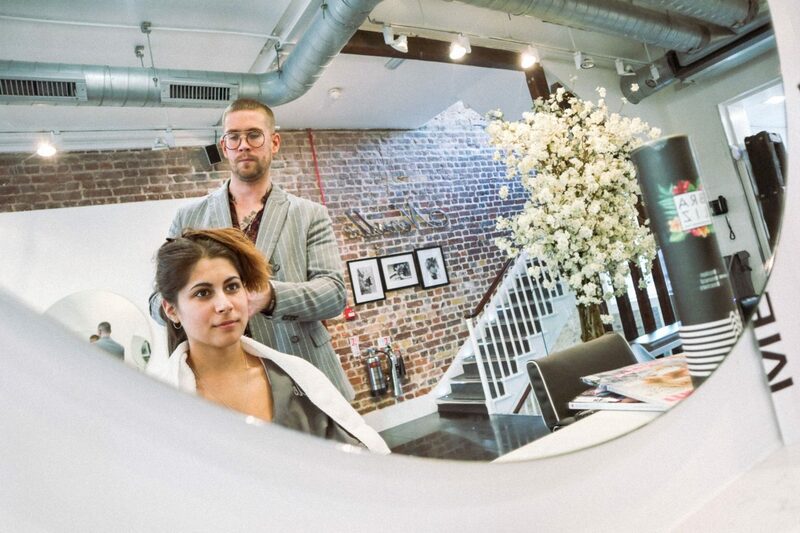 Quick note – if you’re planning to get the Braliz straightening done, make sure you have about three hours spare. My appointment was at 2 pm and I left the salon at about 4.30, and my hair is medium thick and shoulder length. The salon is in such a lovely location, so it’s a perfectly good place to visit on a Saturday afternoon, post-brunch in the area. 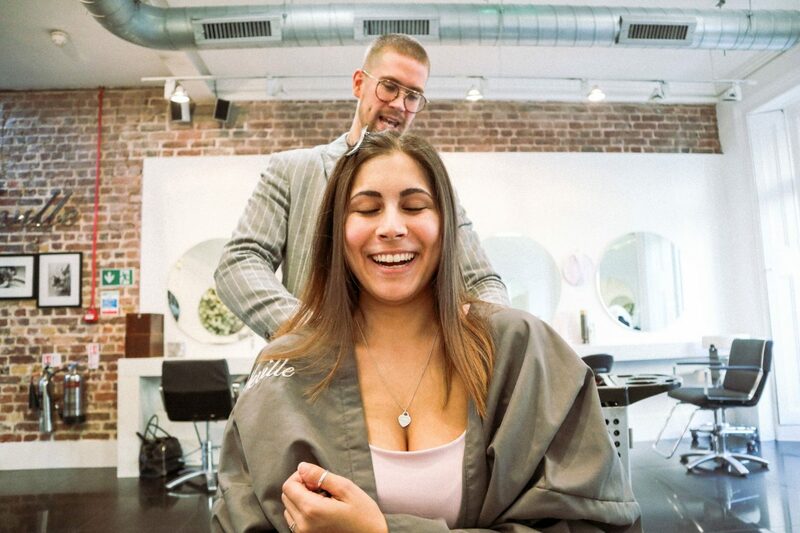 So what’s it like to get your hair treated with Braliz? First up, you’ll get your locks washed, to make sure all product and dirt are gone before applying the straightening spray. I love having my hair washed by someone else! Where do I sign up to have someone do it for me each time it needs a wash without me having to earn as much as Kim K? Next, you’ll get your hair rough-dried and you are ready for your treatment! I had my hair straightening treatment with Jack, who is the Braliz ambassador for the UK. He talked me through what the treatment will do, how long it will take and what to expect. He put all my hair up and started taking small sections which he sprayed evenly with the product and then brushed through to ensure it’s gone everywhere. When my whole hair was done, it needed to be left alone for about 45 minutes for the treatment to work, which was the perfect time to jump on my emails. Instead, I read Elle. 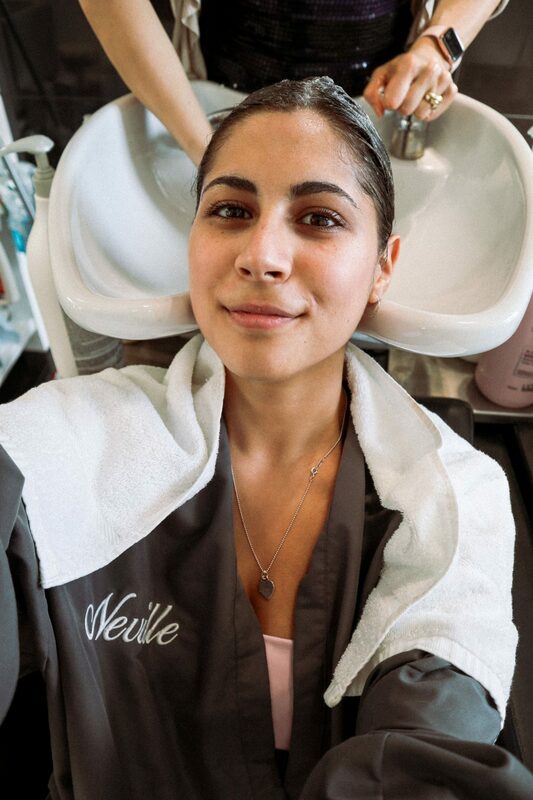 The time Braliz needs to work on your hair depends on the thickness of it, so you may have to wait a little less or a little more, but really, everyone at Neville’s is lovely and will get you anything you need, so you don’t need to worry about anything. Almost an hour later, my hair was washed again, but this time with just water. Next. Jack rough dried it once again and then section by section, he straightened it with hair straighteners. I love love love the result. When I first saw my hair I was soooo impressed, I don’t think I’ve ever seen it so glossy and straight! Now that it’s been three weeks after I had the Braliz treatment, my hair looks great. It’s still super glossy and there is definitely a lot less frizz happening. For best at-home results, it is recommended that you use the Braliz home care kit, which contains a shampoo, conditioner and a leave-in spray. The kit will make sure the hair straightening treatment effect lasts as long as possible. 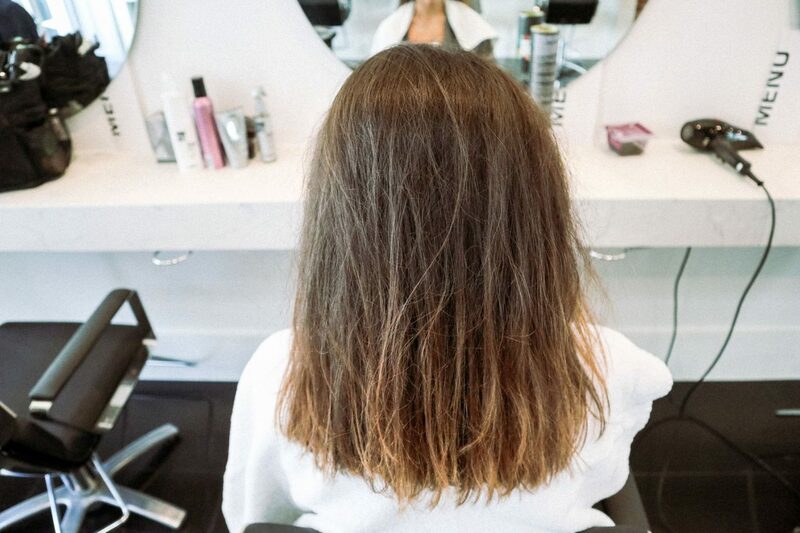 Blow-dry your hair as usual for a sleek, frizz-free look and style as wanted, or leave it to dry naturally. I do that sometimes, and my hair definitely looks a lot less frizzy, even if I haven’t bothered to style it! Oh, and if your hair is dyed, or if you’re looking at getting it coloured, you can still get the treatment done! So now, come rain or sunshine, my hair looks fab, and it takes me a lot less time to style it. *The Braliz treatment & home care kit were kindly gifted to me, but as always, all opinions and pictures are my own.